HERA W10 is a premium ultrasound system that focuses on obstetric and gynecological services. 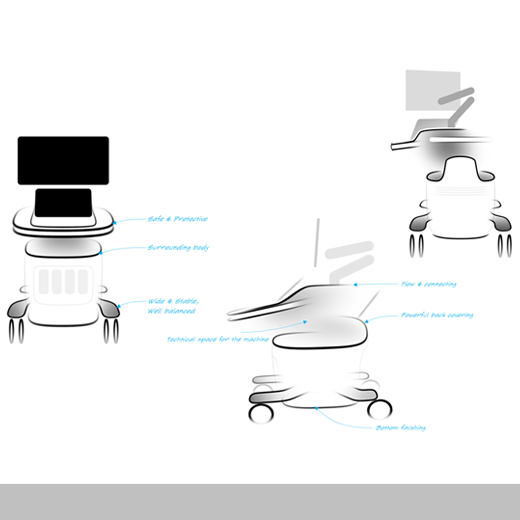 The system implements ergonomic improvements for the moving range of the control panel and the articulated monitor arm, reducing musculoskeletal stress during operation of the ultrasound system. Various functions for user convenience were incorporated into this premium ultrasound system, including the maximized control panel with optimized key layout, the articulated monitor arm, organized probe cables with simplified probe selection, and state-of-the-art technology in an advanced yet humble and durable aesthetic.